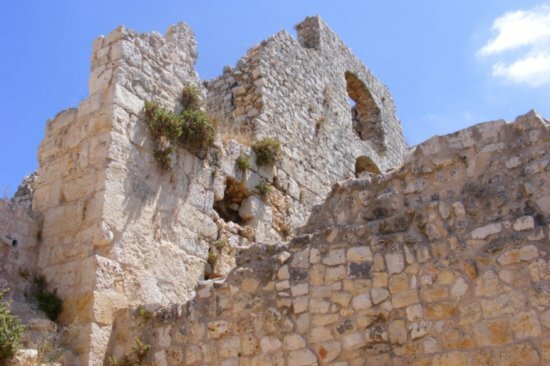 (April 26, 2011) Today we took a trip to a local ruins, Yehiam fortress (known by the Arabs as “Khirbat Jiddin” and by the Crusaders as “Judyn”). It is found between Ma’alot and the Mediterranean Sea. 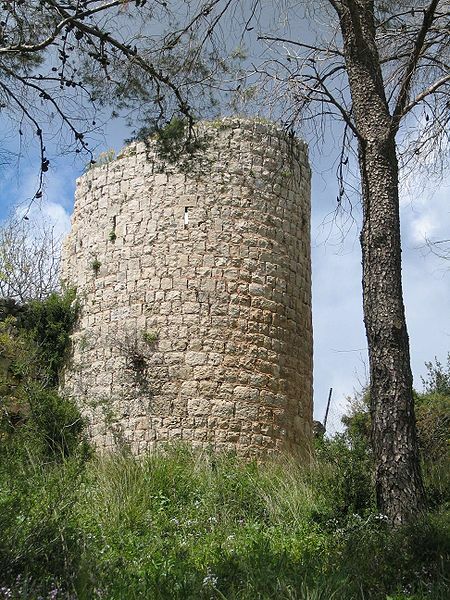 It neighbors the famous Monfort Castle and was built on the remains of a Roman fort. 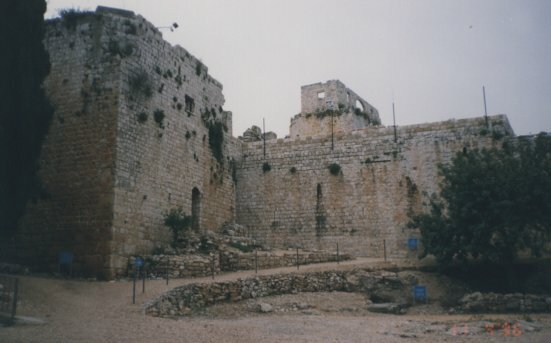 Yehiam fortress was then built up by the Crusaders and called “Judyn”. The Teutonic Knights of Germany reinforced Judyn but lost the castle to the Mammeluke Sultan, Baybars, in 1265. Local ruler, Sheik Mahd el-Hussein rebuilt parts of it about 500 years later and then in 1738 it was taken over by Dahr el-Omar a Bedouin sheik who ruled the Galilee in his time. 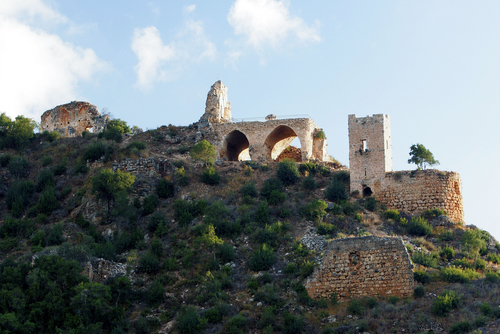 In 1946, Jews from the village of Yehiam used the aged castle as a fortress against the onslaught of Arabs. 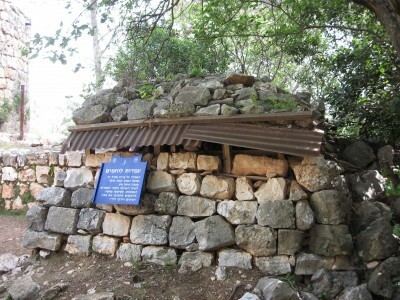 An IDF operation relieved the villagers and now the site is preserved as a National Park. We toured the castle, both the grounds and the tower that overlooks the surrounding area for miles. Many parts are still in ruins and overgrown with foliage but some areas have been cleared and restored to a setting resembling the early days of the castle. There is a beautiful reception area built in 1700s by Dahr el-Omar which is currently used for tourism. Here are some more pictures of the fortress, a structure home to three of the world’s biggest religions. 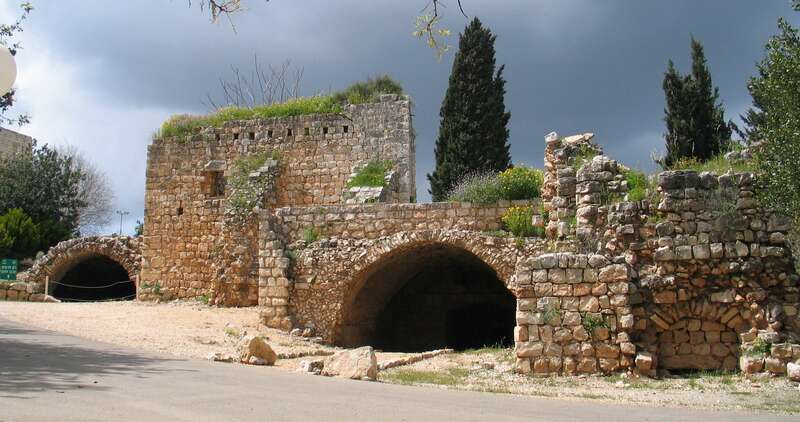 Yehiam Fortress is just one of the crusader ruins nearby. 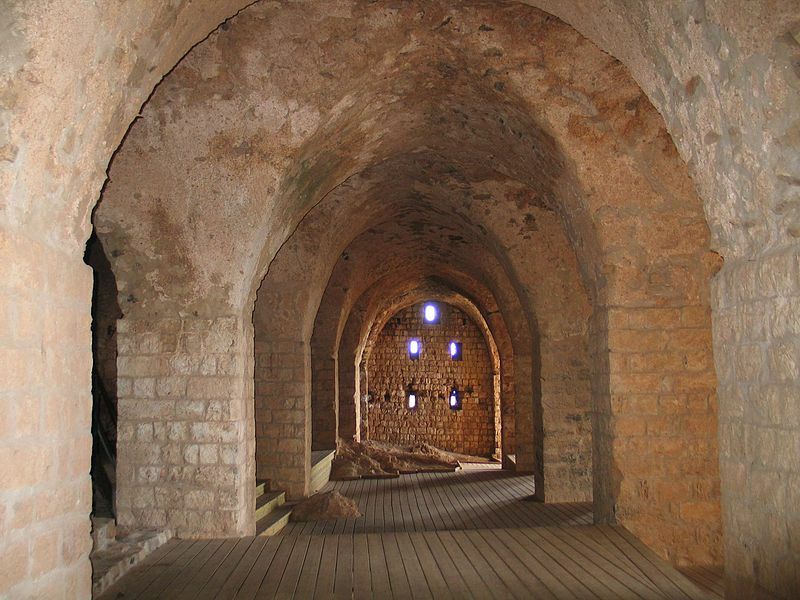 The Galil was the centre of operations for the Crusaders when they were holed up in Akko (Acre) unable to press further south to Jerusalem. More castles, forts and buildings to be explored! (May 2, 2011) Today (Yom HaShoah) my father and I took a trip to the Ghetto Fighters Museum just a few miles away, off the coast. Admission was free and we picked up a hitchhiker on the way out of Maalot. He decided to tag along to see the museum and we drove. At 10:00 AM, as we were driving through Nahariya, the siren went off, the alarm reminding us of the Holocaust. We pulled over, as did EVERYBODY else and got out of the car. 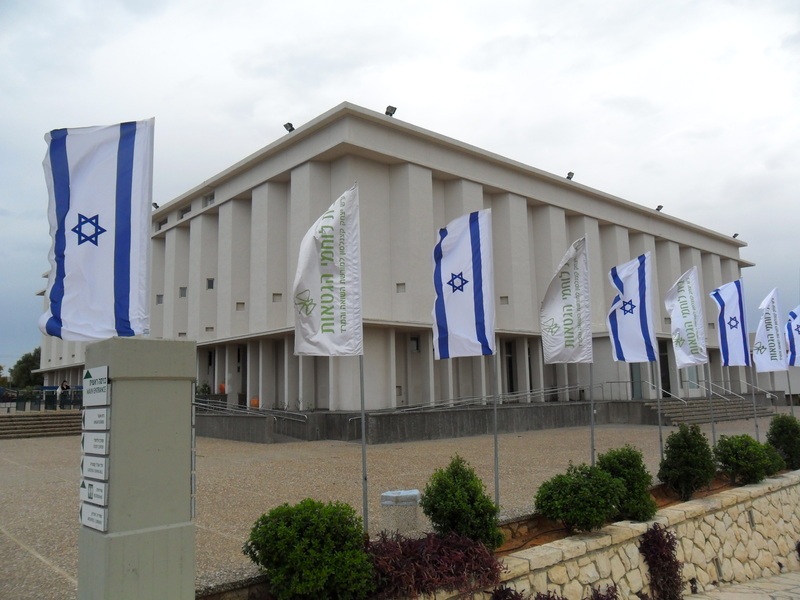 We stood still, as all of Jewish Israel did, and thought about the Holocaust. After the minute or so the siren turned off and we continued to the museum. The museum was built in 1946 or something, the first Holocaust museum in the world. It was founded by, I believe, Dutch “partisans” who came to Israel after the war. 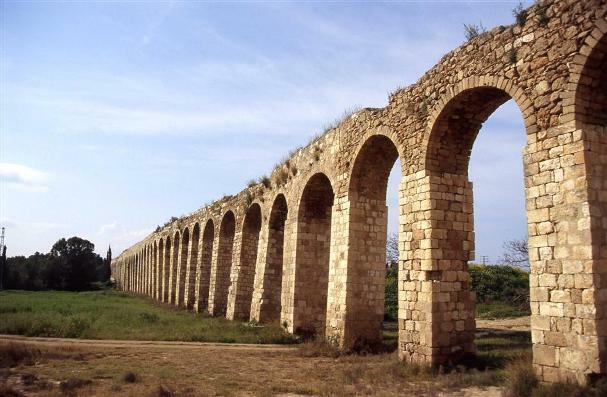 They built a kibbutz next to a large (14 kilometres long) aqueduct built during the Hellenistic period. 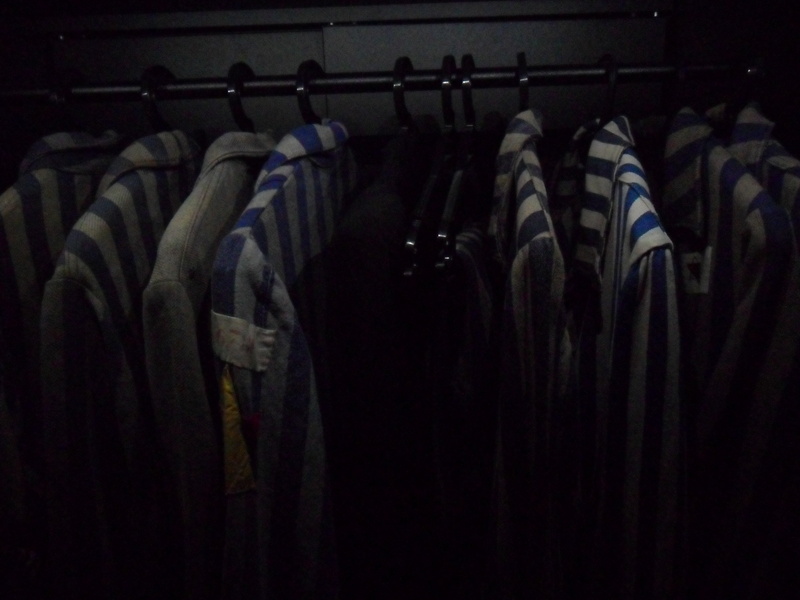 The museum is composed of many floors each dedicated to different Holocaust related concepts (ie partisans, Dutch underground, concentration camps, righteous gentiles, records & testimonies). 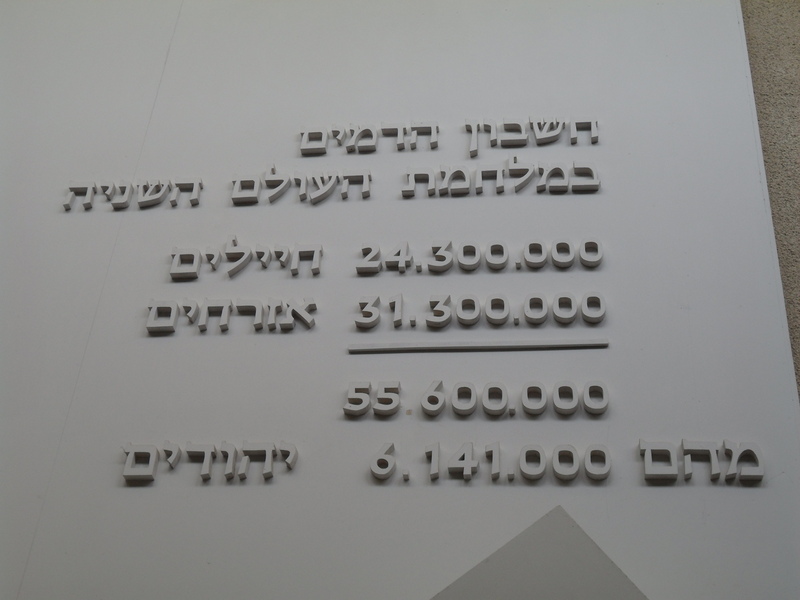 There was a thing on the wall that tallied up the total death count of World War II. It totalled to over 55 million people killed, 6,141,000 being Jews. Wow! 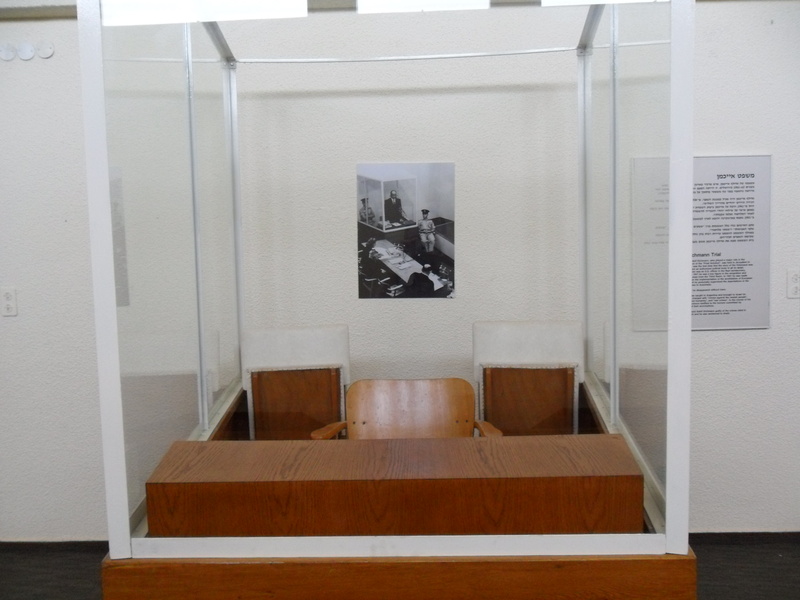 Among the museum’s numerous collections was the bulletproof glass box that Adolf Eichmann stood in for his trial after his capture in Argentine. Additionally there is a strangely shaped Children’s Museum which is for anybody but children. Eerie and built with a artistic design meant to send shivers down one’s spine, the Children’s Museum is a bit haunting, perhaps a bit too haunting. After a few hours we concluded our informative trip, our tag-along disappeared and we went home. 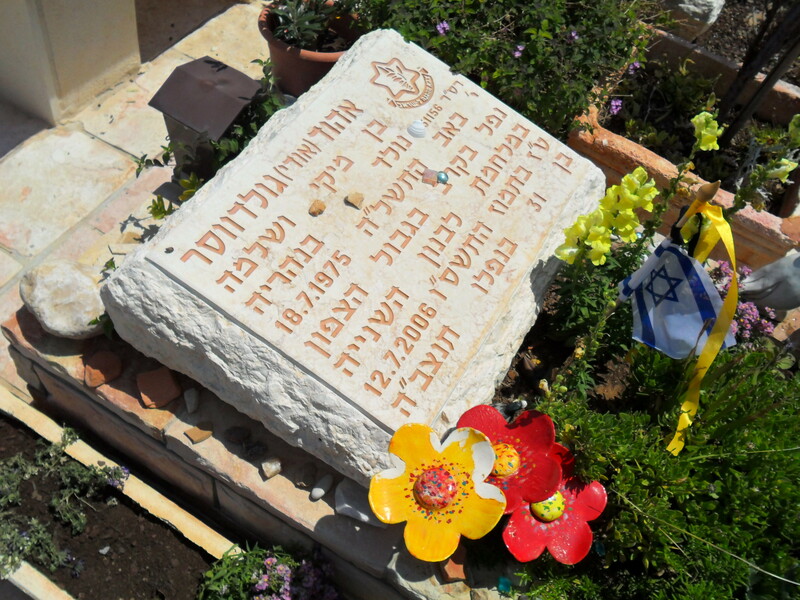 (May 9, 2011) My father and I went to Nahariya today to the military cemetery for the ceremony of Yom HaZikaron. There was the honour guard and the shooting into the air and the soldiers of all ranks swarming the site along with the many families who had a loved one buried there. This is the kever (grave) of Ehud Goldwasser the soldier who was captured and killed by terrorists along the border with Lebanon. He lived in Nahariya so he was buried there, one of the freshest graves. The most recent grave, in the same row as Ehud, was a Russian immigrant soldier who died in the fire on Mt. Carmel near Haifa this past winter. We stopped by a grave from 1948 where an old woman originally from Transylvania was telling people – in English – about her older brother who was killed in Tarshiha (of Ma’alot-Tarshiha) as he and his unit provided cover for the other soldiers. He was also sieged at Yehiam (the castle I wrote about a few weeks ago) where as the people say, an Arab herder brought them a cow to eat for Pesach. 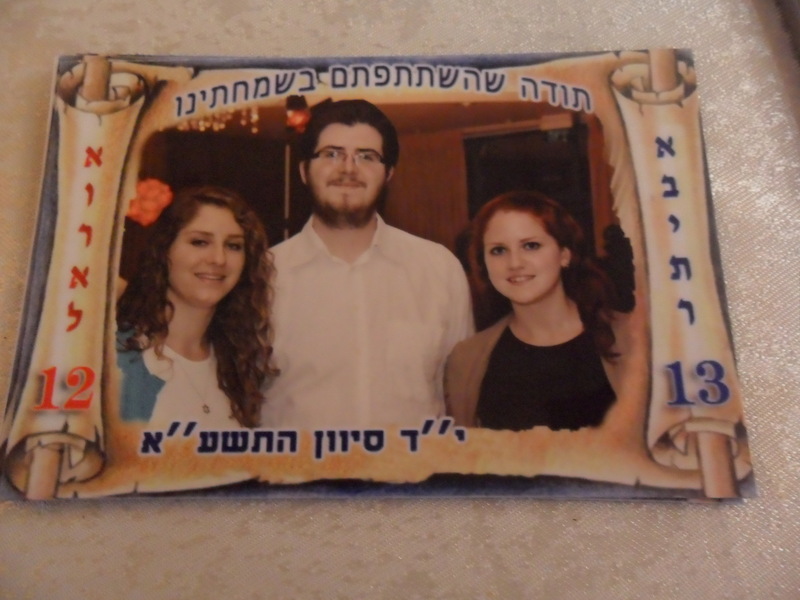 This was my Yom HaZikaron experience, tomorrow only happiness with Yom HaAtzmaut! 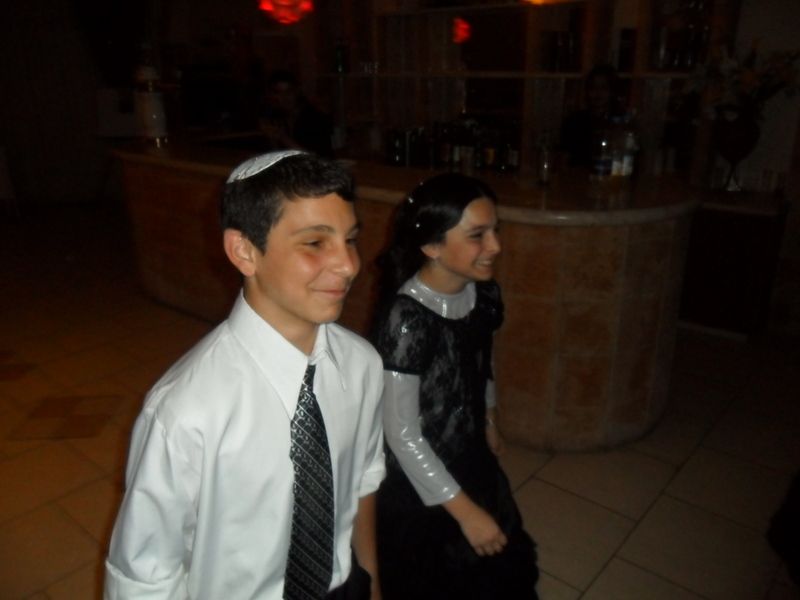 Last night our neighbors (the ones who are sharing our new duplex) had a Bar & Bat Mitzva party for their son and daughter. It was at the catering hall near our house and started at 7:30PM (ended at 12:00+AM). There were approximately 200 people in attendance and it was a traditional Moroccan/Mizrahi party, not something you would typically see in the US. The way these parties usually work it that there is a large appetizer buffet table (this one included roast and even a small schwarma). Some time after they cleared the dishes the waiters brought out fish and other light food as the next course. I had a nice serving of Moroccan fish – tasty! Again, some time later, there was the main course. 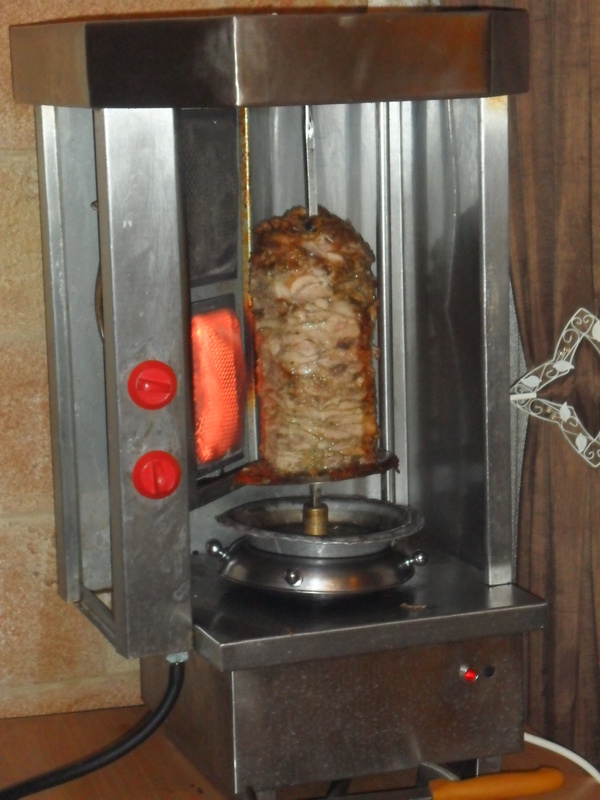 A large bowl-like thing warmed by candles underneath was placed on the table filled with grilled chicken, steaks and lamb chops. I sampled some of each. By this time the camera battery was dead, sadly. There was potatoes and rice and many side dishes along with tons and tons of salads served throughout the evening. For dessert there were molten lava cupcakes (or whatever they are called) and watermelon and cantaloupe slices. A photographer went around taking pictures of people and surprised us all by coming back later with our pictures cut into magnets to bring home as souvenirs (along with the standard bencher)! All in all, it was a great party that lasted forever and oh, yeah, I got from the open bar a scotch & soda and a whiskey & coke, always fun! I love open bars! This is my first blog post so here is where I will explain my upcoming actions. 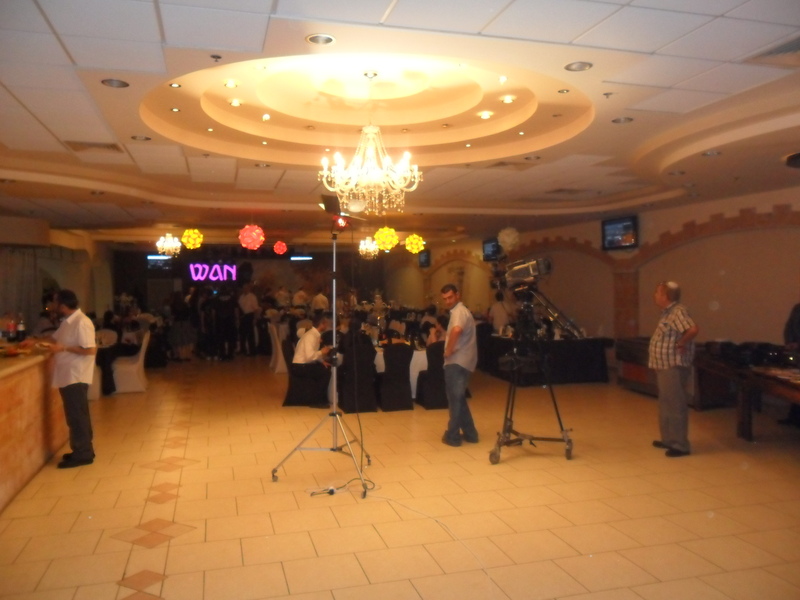 I plan on posting events from the last year (such as our trip to Yehiam Castle and the Bar & Bat Mitzva celebration of our neighbors’ children). Intermittently, if the occasion arises, I shall insert a current post. The posts of the past will be added with an (ARCHIVE) label as to differentiate. 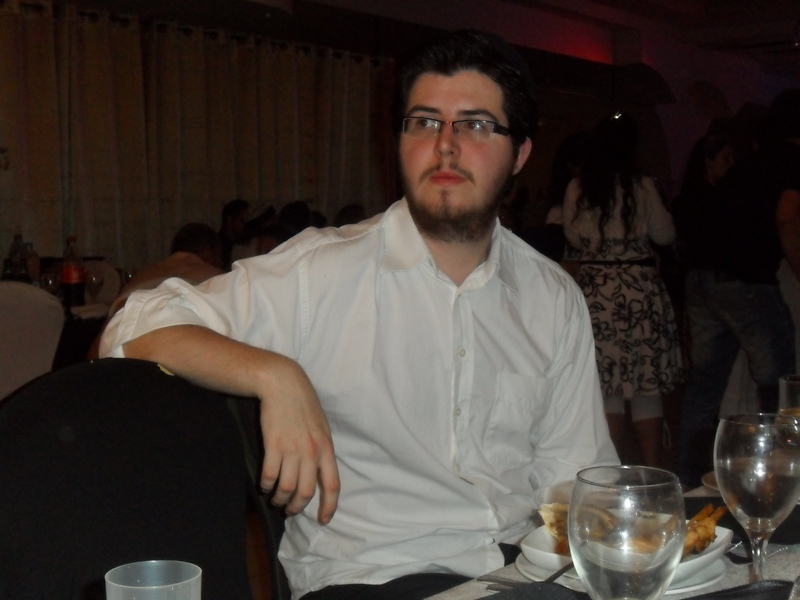 I hope this blog will be accepted amongst the vast world of bloggers and blogging as a unique take of Israel, from the eyes of a 20-year old religious male. Thanks for reading and see you again soon!